Craving a Food? Here's Where to Find it in America. It seems like ever city in the United States is famous for one food or another. Some are well-known, and some are kept secret, but no matter what you're craving, there's a city that does it best. The trick is knowing which food to try where. Here are a few US cities and the foods they are most famous for. You may have heard that Chicago is famous for both hot dogs and pizza. This isn't inaccurate, but plenty of places have good pizza. No other city in the United States has put as much energy into designing the perfect hot dog as Chicago. First of all, Chicago puts a lot of thought into the manufacturing of their hot dogs. There are a couple of companies that go out of their way to make very high quality weenies. All of the locals have their favorite manufacturer, but they're all very good. Locals have also spent a lot of time perfecting the toppings that go on their hot dogs. The standard Chicago hot dog comes with onions, mustard, pickles, tomatoes, and peppers. That being said, there are several versions of the Chicago hot dog. For example, some restaurants may use relish instead of slices or a spear, and others even create their own twist entirely. Of course, it's also acceptable for a customer to request topping changes. I know, I just said that everybody makes good pizza, but nobody makes it like New York. New York treats pizza like Chicago treats hot dogs. 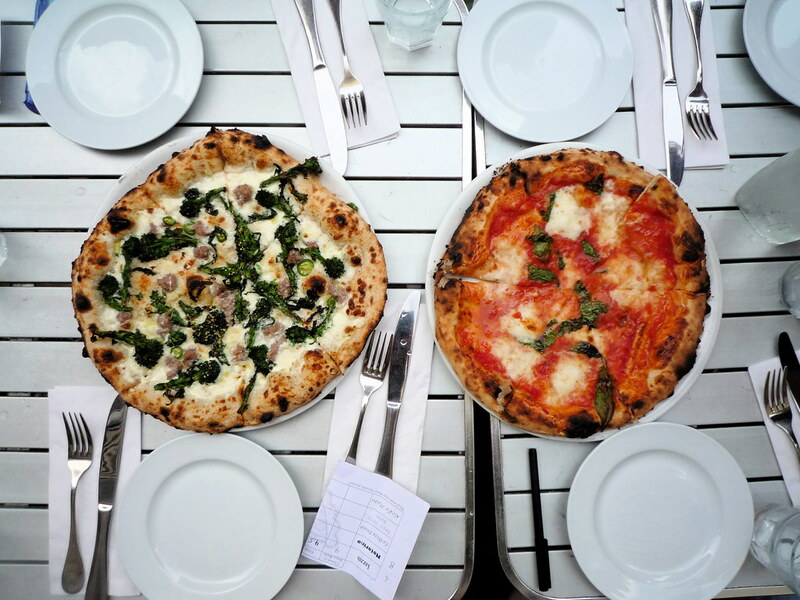 Everything you've heard about New York pizza is true. You can get almost anything, prepared almost any way, as long as you go to the right place. Whether you're looking for a quick slice or a nice meal, a cheap pizza or a fancy one, something for the meat lover or the vegetarian, you'll find it in New York. You may not have heard of this one, unless you've spent time in Texas. In some ways, Texas has a stronger Hispanic influence than other states that are closer to Mexico. This influence can definitely be seen in the food. Although Spanish restaurants and meals in general are popular in Austin, tacos have, for some reason, become a local favorite. But it's important to note that Texans think of tacos differently from those native to northern states. First of all, almost all tacos in Texas are soft-shell. Most locals frown upon hard-shells, and will throw you a dirty look if you suggest that tacos might come in them. In addition, while you can usually order a simple taco with beef or chicken and the toppings you might be used to, you are encouraged to try abnormal tacos with ingredients you'd never think of using in a taco. For example, you might find anything from shrimp to fried chicken on a taco in Austin. There are actually a lot of cities in the United States that claim to have great barbecue, and most of them are telling the truth. The thing is that each area has its own style of barbecue. The barbecue from Lexington, NC is generally pork and comes with its own sauce. While it is often eaten alone, it's perfect to put on a sandwich. It is usually enjoyed with a side of slaw and some chips, and most barbecue restaurants are also known for their pie and other deserts. Although the list of reasons to travel is endless, trying new foods in new places is definitely close to the top.